Music producer and fashion designer Swizz Beatz recently took to his official Twitter account @TheRealSwizzz and leaked images of a Reebok camo cap and a pair of Reebok Bodega Pump. 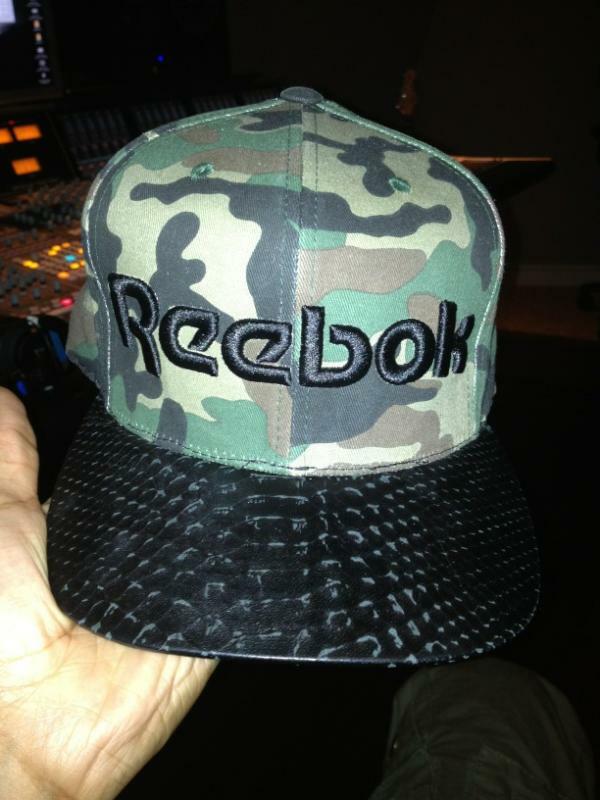 The camo cap has a black brim with Reebok written in black on the front. 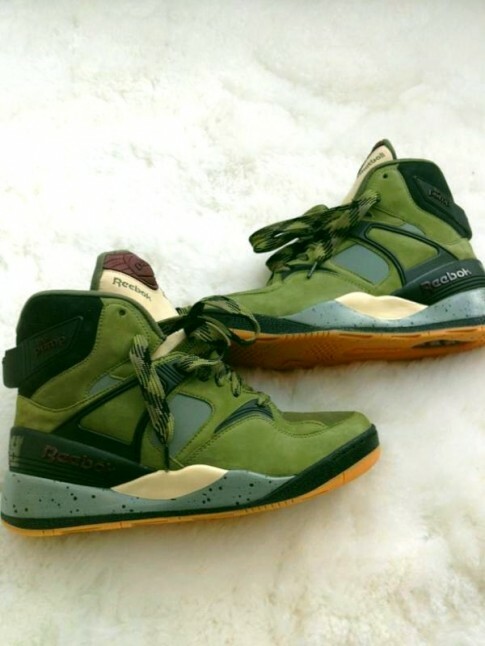 The Reebok x Bodega “Outback” were released Friday, November 20, 2009, to celebrate the 20th Anniversary since Reebok officially launched their epic Pump technology. This sneaker features a military theme, pairing soft nubuck uppers with contrasted canvas, reflective materials, and custom details such as trek laces, a mesh tongue, and dog/hand tags. This sneaker was also a limited edition. Only 31 pairs were released. Each sneaker was individually numbered and packaged in military spec ammo cases with a special edition Bodega x Reebok tee. That’s dope! I wish I was able to get my hands on a pair. 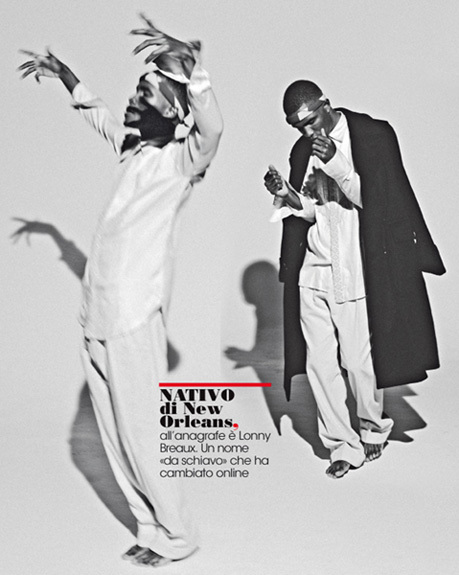 When Hip-Hop artists does something negative it is the worse thing in the entire world, leaving the artist to face a lot of scrutiny from the world, including making the front cover of every newspaper and website but when they do something positive, most of the time, it get overlooked. Apparently, that’s NOT the issue when it comes to me. 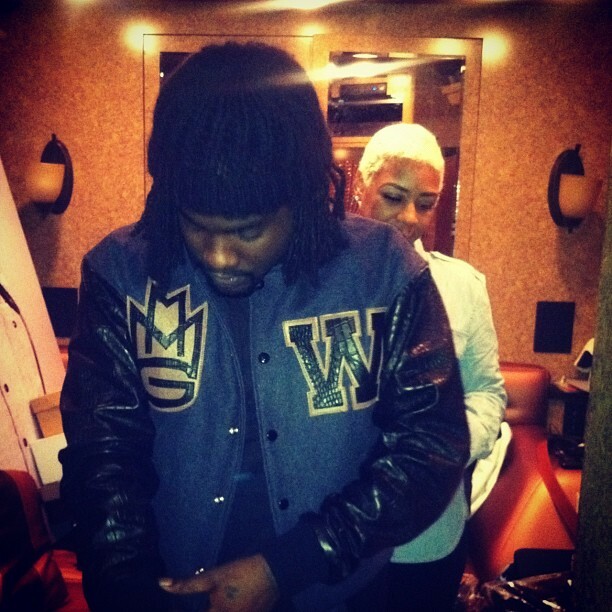 I am a fan of Hip-Hop and stand by the artists when they do something negative or positive. With the being said, Maybach Music Group rapper Meek Mill went back home to Philadelphia earlier in the week, to give back to Strawberry Mansion High School. 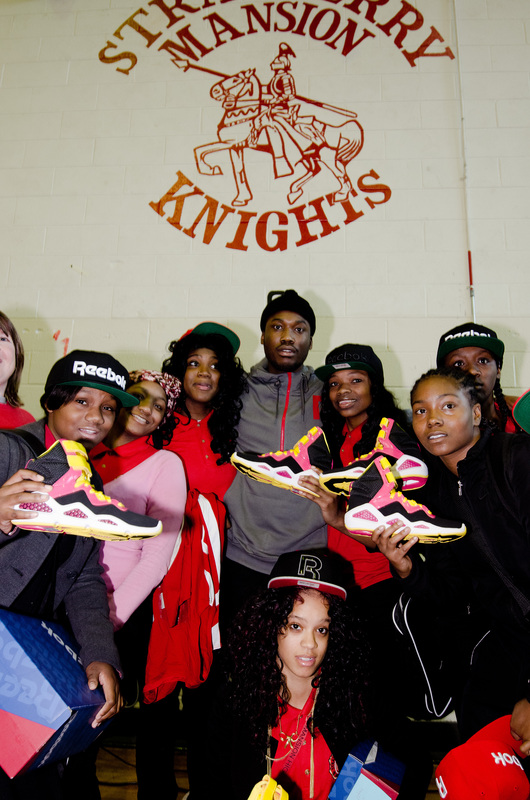 Mill and Reebok donated sneakers, gym bags, socks, snapbacks and tee shirts to the boys and girls basketball team. My childhood friend Dez Baker is an English teacher at the predominantly African-American high school. Just a few minutes ago, I phoned him to get the exclusive. 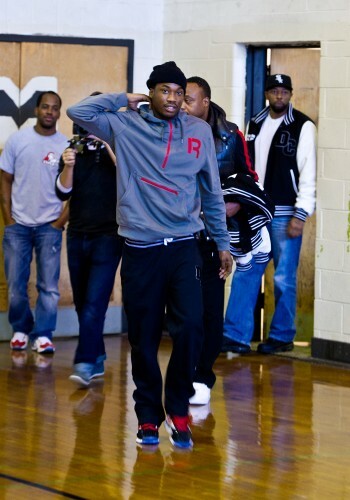 “It was a real phenomenal event that took place at the high school Meek Mill once attended. He gave the basketball teams sneakers, gym bags, socks, snapbacks and tee shirts. It was good to see someone who the kids idolize and look up to in the Hip-Hop community to come back to his former high school and give back. When Mill came out, the kids were screaming to the top of their lungs,” said Dez Baker. 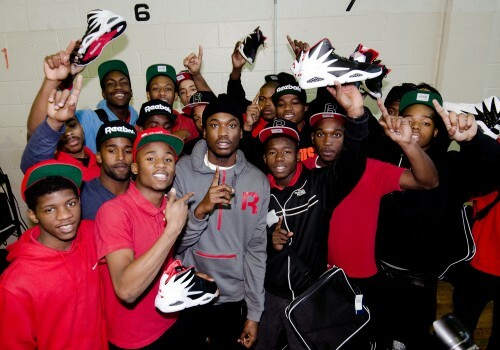 “We would like to thank Reebok and Meek Mill for donating to our high school basketball teams,” added Dez Baker. You just wrapped season 2 of Love & Hip Hop, but there doesn’t seem to be much love happening right now. You know, that’s my biggest problem with the show. It really only shows the negative in our relationships. I realize that it’s from my point of view but then the show paints Fab as this bad guy. They never mention all of the positive things he does. Fab does a LOT of community work, he has a non-profit and he’s a wonderful father. Do you think that’s one of the main reasons he refused to participate in the show? No. 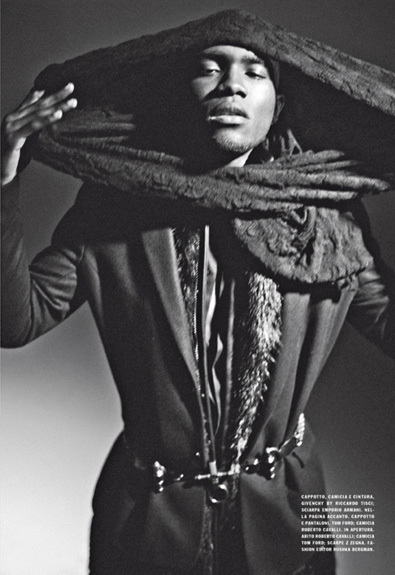 Actually Fab didn’t want to do the show because he felt like he wouldn’t have any equity in it. He feels like he’s at a place in his career where he should have some ownership in everything that he does. That was the main reason why he won’t do it. Now you know the long-running speculation that your decision to do the show lead to the end of your relationship. That’s not true at all. In fact, Fab and I shot a VH1 pilot ourselves, before Love & Hip Hop came along.